In Week 14, we recommend starting the new 49ers running back against the Broncos and predict another disappointing outing from Eagles receiver Alshon Jeffery. The fantasy football playoffs start this week, and while everyone knows to start Todd Gurley, what about the under-the-radar players who can help owners in Week 14? And what about the guys you thought you could rely on but are now questioning their value? We'll help answer some of these questions. In Week 14, we recommend starting the new 49ers running back against the Broncos and predict another disappointing outing from Eagles receiver Alshon Jeffery. ## Week 14 Sleepers ## Josh Allen, QB Bills Allen has quietly become a strong fantasy start putting up at least 25 points in two straight games. Did you bet Allen would have more rushing yards than Toddy Gurley in Week 13? Allen is a borderline RB1 with 235 rushing yards in his last two games. Allen is still raw but he did throw for 231 yards and two touchdowns last week against the Dolphins. Now he gets a Jets defense that is giving up 263 yards per game through the air. Allen won't be started in many leagues this week but if you play in a two-quarterback format, he's worthy of consideration. ## Jeff Wilson Jr., RB 49ers Injuries have finally gotten the best of Matt Breida. Breida re-aggravated an ankle in pre-game warmups on Sunday, giving way to Wilson. Wilson is like the 49ers 12th running back after all the injuries San Francisco has suffered at the position, He performed well against Seattle with 61 yards rushing and eight receptions for 73 yards receiving. Breida has already been ruled out for Sunday's game against the Broncos, leaving Wilson as the only show in town. [Denver gives up 109 rushing yards and five receptions per game](https://football.fantasysports.yahoo.com/f1/pointsagainst?season=2018&pos=RB&mode=average) to running backs. Don't be afraid to start Wilson in that FLEX spot this week. ## Courtland Sutton, WR Broncos Sutton had been quiet since Demaryius Thomas was traded to Houston but he finally broke out on Sunday against the Bengals with four receptions, 85 yards and a touchdown. Granted, it was against the Bengals' Swiss cheese defense but Sutton did out-target Emmanuel Sanders 7-6. Sutton has another favorable matchup this week against a 49ers defense allowing the 12th most fantasy points to receivers. The rookie receiver is worth starting in deeper leagues for fantasy playoffs. __More fantasy:__ Week 14 DFS value plays ## Week 14 Busts ## Matt Ryan, QB Falcons Ryan hasn't been awful this year. He does have 25 touchdowns and only five interceptions. However, do you trust him and a Falcons team that's dropped four straight games in fantasy playoffs? I don't. Everyone is talking about the Packers giving up, I wouldn't be surprised if the Falcons don't get off the bus on Sunday. The Packers are only allowing 242.8 passing yards per game. Ryan has failed to throw multiple touchdowns in a game five times this season. Start Ryan at your own risk. 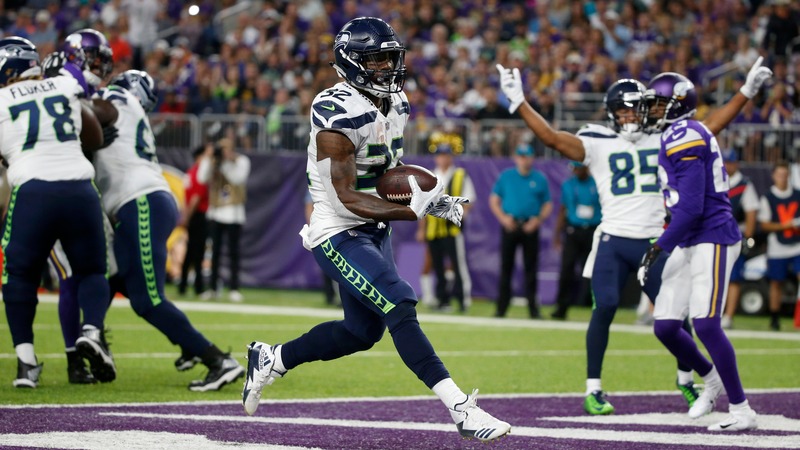 ## Chris Carson, RB Seahawks Carson suffered a dislocated finger last week but he's expected to play Monday night against the Vikings. While the Seahawks are the No. 1 rushing offense, they face a tough test this week versus Minnesota's No. 7 run defense. The Vikings are giving up the fifth-fewest fantasy points to running backs and have yet to allow a 100-yard rusher. Only one back has topped 80 yards against them and that was Todd Gurley (83). Carson has been good this year but don't be afraid to sit him in Week 14. ## Alshon Jeffery, WR Eagles Jeffery has reached the point where he can't be trusted outside of deeper leagues. He hasn't reached 50 yards or scored in his last five games. Things aren't likely to improve for Jeffery this week when he faces Dallas. The Cowboys are allowing the second-fewest fantasy points to receivers. When Jeffery played the Cowboys four weeks ago he caught four balls for 48 yards. In fairness to him though, that was Jeffery's best game in the past month. Don't risk starting Jeffery in the first round of fantasy playoffs.